Take Control Over Facebook Settings with F.B. Purity Addon. Take Control Over Facebook with F.B. Purity Addon. F.B. Purity is a web browser addon for Mozilla Firefox which help you take control over your facebook preferences which are not provided in settings. Fluff Busting (F.B.) Purity addon which is accessible via official Mozilla addon page is outdated and the developer suggests you to go the addon’s homepage to get the latest version. With the F.B. Purity addon, you can hide: Sponsored Posts, Suggested Posts, Suggested Pages, Facebook Questions, Became friends with, Liked page (became a fan), Joined a group, Upcoming Events, Attending an event, Attended an event, Created an event, Changed location (Facebook Places), Updated profile, Hide All Photos, Hide All Videos, Hide Youtube Videos, Changed profile picture, Updated Cover Photo, Changed relationship, Commented on Status, likes status, Uploaded photo, Tagged in, likes or commented on photo, Tagged in, Likes / Commented/ Tagged in album, Uploaded video, Tagged in video, Posted a link, Commented on link, Likes link, Posted a note, Tagged in note, Commented / wrote on wall, Read an article, Trending Articles, Trending Videos, Games your friends are playing, Games you may like. The latest features include alert whenever you friend un-friends you. Check here for features details. 1. Go to F.B. Purity Mozilla add-on page, or simply click on the above download (from addons.mozilla) link and click on “Add to Firefox“. F.B. Purity: Add to Firefox. 3. F.B. Purity installation box pops-up. Click “Install Now” to continue installing add-on, “Cancel” to abort installation. 4. On successful installation, F.B. Purity doesn’t asks user permission to restart the browser to activate the add-on. 1. The addon installed from Mozilla’s officials addon page wasn’t working. The latest build from the homepage is functioning good. 2. On successful installation, you will notice the F.B. Purity welcome page when you open facebook. 3. To start tweaking, click on “FBP” which should be next to Home inside facebook blue header. F.B. Purity: Disable/Remove from Firefox. Find Similar Websites to that of Currently Browsing with Google Similar Pages. Leech Block, a Firefox Addon to Increase Productivity by Restricting Cravings to your Favourite Sites. Next story I’m a Gentleman, a Chrome Extension to Save Images with One Click. Previous story How to Find Out Your Chrome Extensions Permissions, the Easy Way. Integrating Google Calender into Google Chrome. 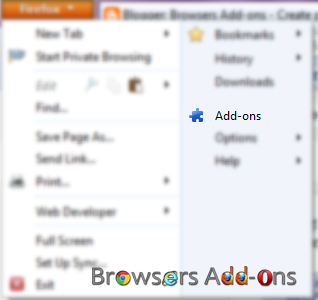 How To: Disable/Remove Extension in Google Chrome. Reset your Google Chrome Browser to Default/Factory Settings with One Click. Switch Proxies with Ease in Mozilla Firefox with Proxy Selector.